Following the introduction of the vastly remodeled Crystal Mozart, Crystal River Cruises just took delivery of its first all-new Rhine-class riverboat—the Crystal Bach. 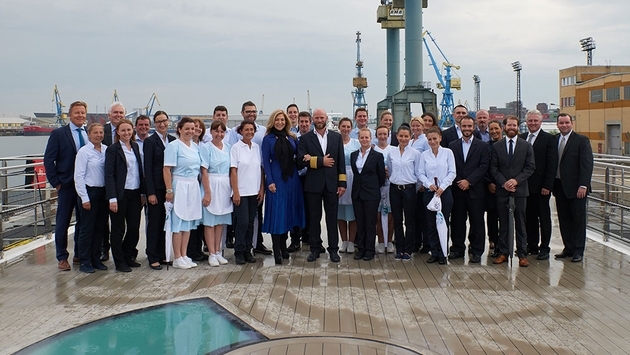 The ship was transferred to the cruise line from the MV WERFTEN shipyard in an official handover ceremony in Wismar, Germany. “It is a thrill to welcome Crystal Bach to the family, as she is one of the most anticipated vessels to embark on Europe’s rivers in years,” said Crystal’s CEO and president, Edie Rodriguez, in a press release. The Crystal Bach is one in what will be four Rhine-class vessels in Europe. It will set sail on the Rhine and Moselle rivers between Amsterdam and Frankfurt, as well as Amsterdam and Basel. Its future launch this month comes at a time when Crystal River Cruises was recently voted “Best River Cruise Line” by the readers of Travel + Leisure magazine in its 2017 World’s Best Awards. The Rhine-class riverboats will be classified as all-balcony, all-suite vessels, and each of its butler-serviced accommodations will be positioned above the waterline. Suites will also feature king-sized beds, Panoramic Balcony-Windows, walk-in closets and dual vanity bathrooms in most categories, as well as ETRO robes and slippers, flat-screen HD televisions and Nespresso machines. Elsewhere onboard will be the line’s signature Michelin-inspired cuisine at the Waterside Restaurant, Bistro cafes and Vintage Room; as well as the Palm Court. 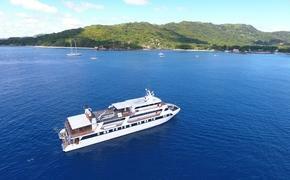 For more information, contact a travel agent, call 888-799-2437 or visit www.crystalcruises.com.